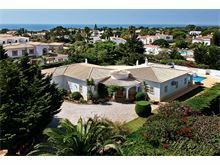 La Pausa is situated in the mainly residential area of Colina do Carvoeiro which borders Clube Carvoeiro, just a short drive from Carvoeiro town with its abundance of shops, restaurants and bars. 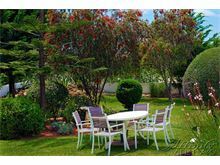 The house is set in a half of an acre of land and is spacious and brightly decorated with good quality furnishings. The large expanse of garden is mostly lawn with pretty shrubs and flower borders. The fitted kitchen is fully equipped and the comfortable lounge/dining room has French windows leading out to the covered terrace overlooking the pool and gardens, an excellent spot for outdoor dining. Approximately 3kms from the beach and shops in the village although the tennis club with sporting facilities, restaurant and snack bar is only a 4 minute walk away. A gated entrance into a driveway, entrance hall, lounge/dining room with wood burning stove, TV and CD stereo system, kitchen with microwave, dishwasher, washing machine and fridge/freezer. 1 twin bedroom with full bathroom en suite and walk in shower, 1 twin bedroom with doors to the covered terrace, full bathroom en suite and walk in shower, 1 double bedroom with doors to the terrace, 1 shower room. The garage will be locked for storage of the owners' personal belongings. Maid service 3 times per week. 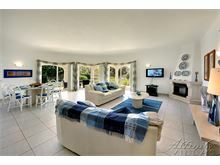 Pool heating, underfloor heating, air conditioning (bedrooms only) and Wi-Fi are available at extra cost, if required. 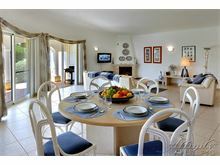 The villa was excellent clean and very well equipped. Beautiful villa and grounds will hope to book for next year. 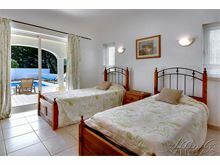 We had a wonderful holiday and would not hesitate to either use Affinity Villas again or recommend to our friends. Wonderful Villa, great staff and we thought the price was very reasonable. All in all fabulous. 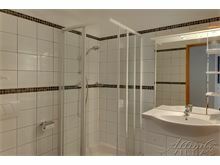 The villa was clean well maintained and in a good location. The cleaners pool man and gardeners were very good. Lovely comfortable villa with modern kitchen, well laid out dining and lounge area, outside terrace with dining table and chairs is perfect for breakfast and dinners. Easy walk to tennis club and facilities there. La Pausa is a beautiful villa in a quiet location walking distance from the tennis club. The service in the UK, the local management, maid service, pool guy and villa gardener were all polite, efficient, helpful and unobtrusive. It was a joy to stay at La Pausa and Carvoeiro remains a great place to visit and especially to eat. This is not our first time with Affinity and will not be our last. Thank you all for a wonderful holiday. Fabulous holiday in a wonderful villa. Fabulous villa in quiet residential area. Very peaceful and restful holiday. Pool in great location and not overlooked by other properties, lovely garden too. Hope to return next year. 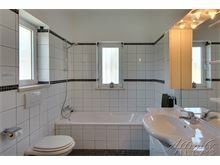 Overall the villa was very comfortable and in a good central position for our requirements. Good service from the local management. Will definitely travel with Affinity again. 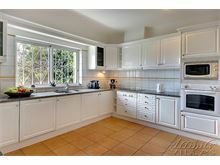 Beautiful and spacious villa in a quiet area but easily accessible to nearby towns and supermarkets. All the rooms are very spacious and well appointed, it was a pleasure to enjoy our holiday, just a pity we had to go home!! 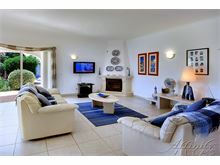 Beautiful villa, very spacious and clean, would be very happy to stay again.